Some Catholics might be tempted to breathe a sigh of relief that the demands of the Gospel can now all be read in the light of Amoris Laetitia. As above, replacing 'hand' with 'eyes'. Apparently, these words, these teachings of Jesus must be read in the light of Amoris Laetitia! That would be far more preferable to Cardinal Schonborn, than reading the Exhortation in the light of Christ! I am sure there are many more words of Our Lord and Saviour which would embarrass the theology presented to Catholics in Amoris Laetitia. For charitable reasons, I believe that most bloggers and Catholic commentators - most Cardinals and Bishops and priests who believe the document is riddled with strange doctrines - do not promote the document or highlight it because the light of the Gospel of Our Lord Jesus Christ reveals its inadequacies. Of course, I am sure that there are more words of Our Blessed Lord which can be read in the light of Amoris Laetitia. Unfortunately, it is doubtful that that light will illuminate the message of the Gospel. ..and still be called Catholic? It might be that with some mental gymnastics and a degree of mental reservation, Amoris Laetitia can be read 'in the light of the Church's tradition', but I don't think the words of Jesus Christ are so easily read 'in the light of Amoris Laetitia.' They oppose Amoris Laetitia. 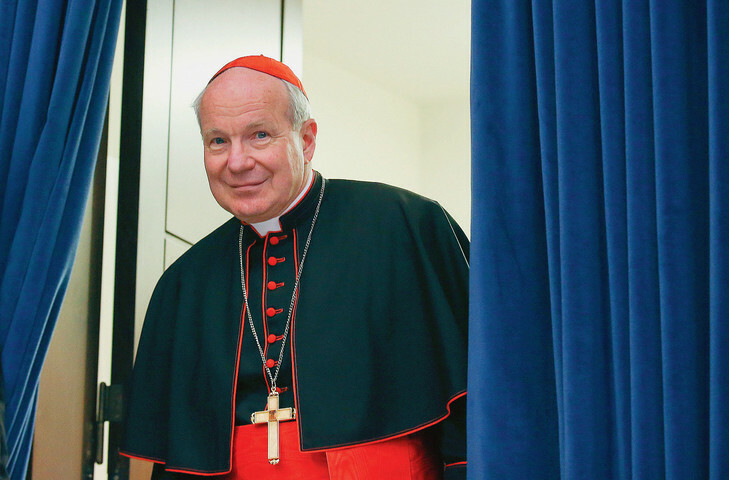 For this reason, Cardinal Schonborn's words this week are, quite frankly, as hilarious as they are ill-judged. Most would say that Catholic Church began in the Year of Our Lord 33AD at Pentecost. Some theologians would argue that the Catholic Church was born at the Immaculate Conception of the Mother of God, who was chosen before all time to bear the Son of the Eternal Father. But just what kind of 'theologian' would suggest the Catholic Church was born in 2016? I've long argued (with several others) that the vanguard have opted for a scorched earth policy. With Cardinal Schonborn, we can see that Year Zero is upon us. May the Lord preserve us from this insanity and restore a sense of the sacred to those who have, in the Catholic Hierarchy, lost it, abandoned it, or rejected it, in favour of something that - in the light of the Gospel and the teachings of Pope Francis's venerable predecessors - is completely incoherent, potentially schismatic and dangerous to souls. Restoring the sacred to the Liturgy of the Church says: 'Follow Jesus Christ? Yes, He is worth it. For worthy is the Lamb who was slain, to receive glory, honour, power and worship! Schonborne's statement would be a lot more hilarious if it were not so tragic. Such disregard for the Gospel of Jesus Christ is heretical, as is AL. Frankly, I agree with Ann Barnhardt that Bergoglio is not pope. We already had a pope who, for all intents and purposes, still is pope. That is why Benedict dresses like one--not because the Vatican does not have any extra black clothes for him to wear. It is astounding to watch the heretics and Francis fawners spin their theological yarns of heterodoxy. Shame on every one of them. Cling to Jesus Christ and His Mother. Pray for all priests. The dividing line is getting near and our individual choice will be clear: either Jesus Christ and His true Gospel as the Church has given it to us for 2,000 years, or join 'new church' with all its trappings of power and group praise. Christ will sift each of us to see who is really His and who is not. Those churchmen and laymen who are not properly disposed to receive the Blessed Sacrament receive no grace, no communion, no unity of one flesh with Our Lord. 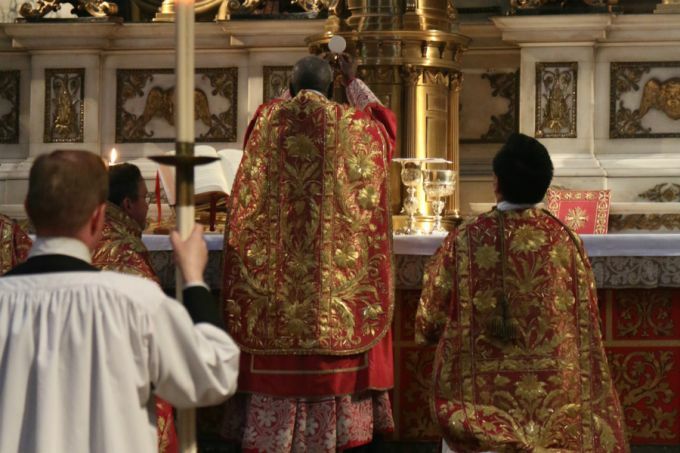 Therefore they are internally compelled to search for or create by their own means a feeling of communion, a unity of one flesh, and this is whence all of the false ecumenism, liturgical abuse, sexual abuse, and perversion of matrimony comes. Mass Protests Erupt: "This Vote Ruined My Life!"